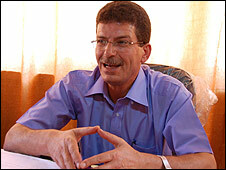 A Jewish-born Israeli has been elected to the governing body of Palestinian President Mahmoud Abbas’s Fatah party. Uri Davis, 66, an academic who is married to a Palestinian, is an outspoken critic of what he calls Israel’s “apartheid policies”. As the only Israeli member of the Revolutionary Council he says he wants to represent non-Arab people who support the Palestinian cause. He called for an international campaign to boycott Israel to be toughened up. Dr Davis said his Israeli citizenship made no difference to his election. “Within the conference itself the welcome was most heartfelt and enthusiastic – the Fatah movement is an open, international movement – membership is not conditional on ethnic origin, it’s conditional on agreement with the main part of the Fatah political programme,” he told the BBC News website. 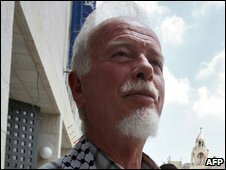 Dr Davis said he did not define himself as Jewish but as “a Palestinian Hebrew national of Jewish origin, anti-Zionist, registered as Muslim and a citizen of an apartheid state – the State of Israel”. He was one of around 700 Fatah members competing for 89 open seats in the body, which oversees the group’s day-to-day decision making. Others elected to Fatah’s revolutionary council included Fadwa Barghouti, the wife of the senior Fatah figure, Marwan Barghouti, who was jailed by Israel five years ago for the murder of five people. 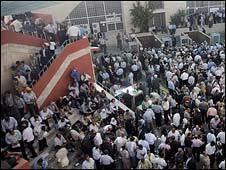 The old guard of Fatah retained only four of the 18 elected seats. The rest went to younger men. A senior official in the Palestinian Fatah movement has accused the party’s leaders of abusing their positions and pocketing party cash for themselves. Farouk Kaddoumi made the accusation as Fatah met in the West Bank town of Bethlehem for its first conference in 20 years. But as Al Jazeera’s Nour Odeh reports, the conference was dominated by infighting and controversy. 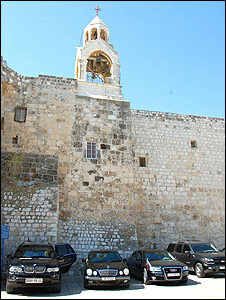 The gleaming black Mercedes, Jaguars and BMWs are lined up in front of Bethlehem’s Church of the Nativity. With blasting horns, Mahmoud Abbas’s convoy sweeps through cordoned off streets, whisking the Palestinian Authority president to the first general conference of his Fatah movement in 20 years. The 2,000 or so gathered members range from ageing Palestinian exiles returning after decades abroad, to former militant commanders from West Bank refugee camps, to Mr Abbas and his suited contemporaries. The conference’s task, as many see it, is to save Fatah – formed by Yasser Arafat five decades ago to lead armed struggle against Israeli occupation – from disintegration and decline. 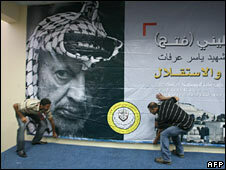 The movement’s critics see it as a nepotistic, corrupt and ineffective body whose leadership has given away too much to Israel, and failed to hold the Palestinians together after Mr Arafat’s death in 2004. When Palestinian voters handed the militant Islamist faction Hamas victory in 2006 parliamentary elections, it was widely seen to be as much punishment of Fatah as it was endorsement of Hamas. About 15 years ago, Fatah threw its weight behind peace negotiations as the route to Palestinian statehood. But now, to many Palestinians, occupation seems more entrenched than ever with Israeli settlements still growing and the current right-wing Israeli government setting out tougher negotiating lines than the last. “Fatah has lost a lot,” says Palestinian analyst and editor Khalil Shaheen. Now, international observers are watching to see whether the movement will update its charter – currently committed to “liquidating the Zionist entity” – and shift formally from liberation movement to political party. But while Fatah may soften its language on armed struggle, it is thought unlikely to outlaw it altogether. Doing so would “lose the Palestinian people,” says Mr Shaheen, referring to the risk that frustrated voters would be pushed towards the violent “resistance” espoused by Hamas – a particular concern if unity talks lead to elections tentatively slated for next January. But in any case, he says, the struggle between personalities seems to be eclipsing the actual issues at stake. A key task for the conference is to re-elect the organisation’s powerful 21-member central committee, a number of whom have died in post in the 20 years since the last conference. The battle lines within Fatah have long been characterised as a struggle between the ageing exiled ideologues who founded it and the locally born pragmatists who backed peace talks. But also vying for a say are members of an even younger generation, who have come of age during the two intifadas, or uprisings, of recent decades. The talk at the conference is of bringing in fresh blood, controlling infighting and rooting out corruption. But there are already concerns over who the 700 extra delegates suddenly added to the conference list are and who their votes will go to. And the run-up to the conference saw an angry row as Fatah’s 78-year-old exiled chairman, Farouk Kaddoumi, who opposes peace talks and refuses to return to operate under Israeli occupation, accused Mr Abbas of conspiring with Israel to murder Yasser Arafat. “They really fight their rivals in a very low, dirty and petty manner,” says veteran Palestinian journalist Wafa Amr. And, she says, the new generation is no more united. There are two younger figures considered most likely to gain central committee seats. 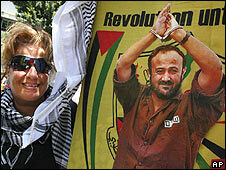 One is Marwan Barghouti, a popular leader currently held in an Israeli prison on five counts of murder. 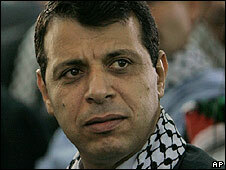 The other, Mohammed Dahlan, is the former head of a powerful security force in Gaza. But he is a divisive figure and widely believed to be corrupt. While both hold to the general Fatah position of support for a two-state solution, with armed resistance retained as an option if talks fail, they diverge when it comes to dealing with Hamas. Mr Barghouti, a militant leader during the second intifada who says he is opposed to attacks on civilians, has long been seen as the only figure likely to have anything close to the unifying power of Arafat. In 2006, he and prisoners from other factions, including Hamas, drafted a document outlining a unifying platform of principles. Kaddora Fares, a Fatah activist close to Mr Barghouti, describes it as the “only comprehensive document” on Palestinian unity so far. “We have to be realists, to recognise the truth – that Hamas represents a wide community… We have to stop thinking it will be possible to dismantle a movement,” he says. Mr Dahlan, however, as the leader of security forces in Gaza during street battles with Hamas in 2007, is at the forefront of the feud between the two factions. His security forces were supported by the US in what some documentary evidence suggests was a Washington-backed attempt to remove Hamas from power. And well before that, he was reviled by Hamas for his role in previous PA crackdowns against Islamist militants. In the bustling streets outside the security cordon, there is little hope that anyone can unite the divided Palestinians. “No Hamas, no Fatah – all no good,” mutters a man carrying a tray of glasses of tea. “If I am suffering from the sunrise to the sunset who will I elect? Those people who ride a jeep worth 500,000 Israeli shekels ($125,000), or have $1m villas? Will he be my representative?” asks travel agent Khalil Salahat, 50, his voice rising in anger. 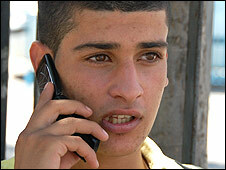 Attallah Awwad, 17, may get his first chance to vote next year.